(There are some samples from these books in the "blog" sections, i.e. they are not real blogs). 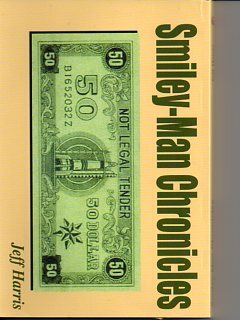 "SMILEY-MAN CHRONICLES" by Jeff Harris, is the collected wisdom of Tahni Jones (inspirational leader of the band), Eddy Boros (sculptor of infamous toy tower at 5th and B in the old East Village, NYC, Kevin Donnelly of Baltimore, and the Lefty Band in general. This is available as an ebook free here: http://itunes.apple.com/us/book/smiley-man-chronicles/id423609371?mt=11 It is also available as a print on demand through iuniverse.com. Is also available as a kindle book, and on Sony. 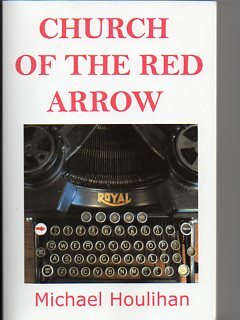 "CHURCH OF THE RED ARROW" by Michael Houlihan is a book of poetry, free-form prose, and a valuable list of over three hundred questions which are largely unanswerable by their very nature. It is available as a kindle ebook for $1.99 here: http://www.amazon.com/Church-Red-Arrow-ebook/dp/B004OEK6TS It is also available as a print on demand through iuniverse, and as a sony ebook.